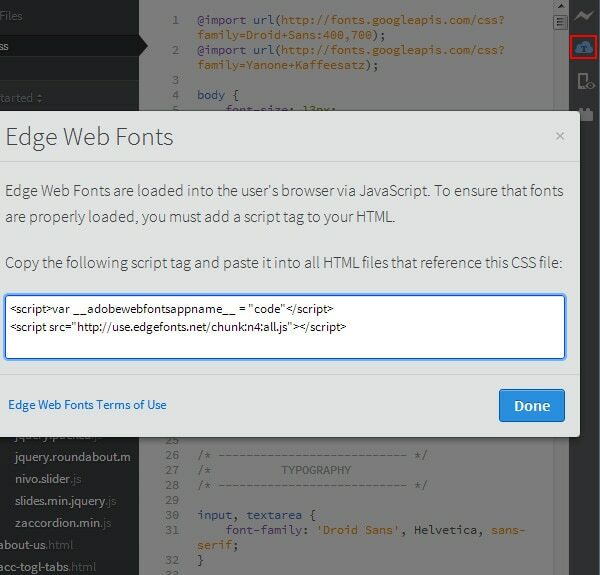 Edge Code allows speed up development cycle by connecting directly to your browser for automatic real-time updates to the HTML content running inside the browser. It enables you to focus on writing your code rather than worrying about all the required steps in switching between your editor and browser and step through development and debugging iterations. Now let’s take a look at some of the coolest features of Edge Code CC. 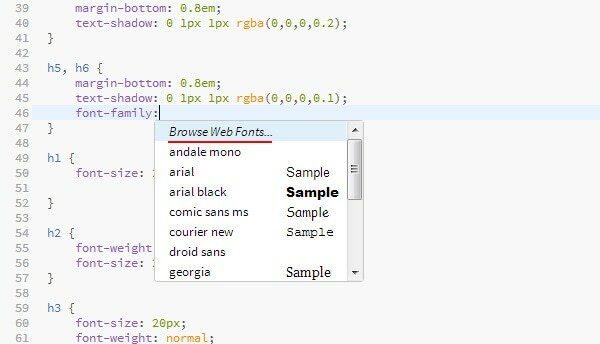 Live Preview allows you to edit your code side by side with a Chrome browser that displays the HTML page you are editing in Edge Code CC. To activate the feature, click on the Live Preview icon at the top right of the app window or go to File > Live Preview. As you change the CSS properties, the changes are pushed to Chrome without having to actually save the files and reload the page in Chrome. You also get visual clues on what you are editing. 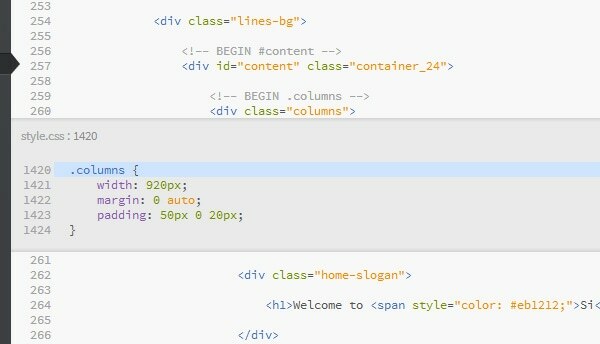 If you change your HTML code, then the Chrome browser will automatically reload the page after saving HTML file. Choose the appropriate font and press Done button. The Preview on Devices using Edge Inspect CC button is designed to activate this feature. 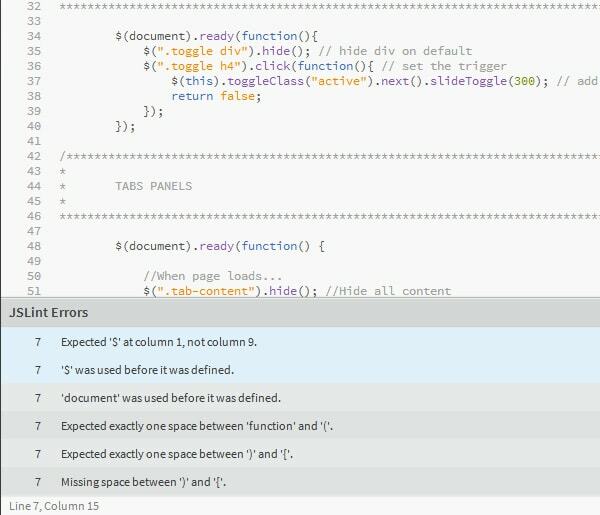 Using Edge Inspect CC you can test your code on iOS, Android, and Kindle Fire. To use Edge Inspect with Edge Code, start Inspect on your desktop and all your devices, and then Click on the Edge Inspect button. This will open up the Edge Inspect panel. From the device, add a connection to Edge Code by specifying the IP address of your desktop. Now, any changes you make on the Edge Code will be reflected on your device, in real time. 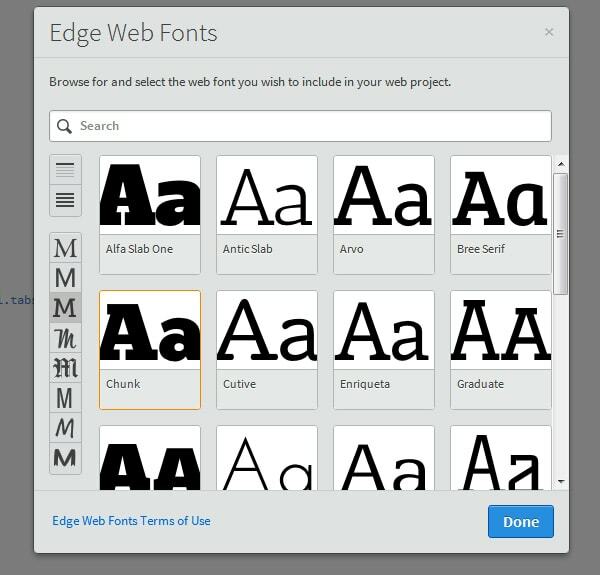 Edge Code CC is currently a preview release. 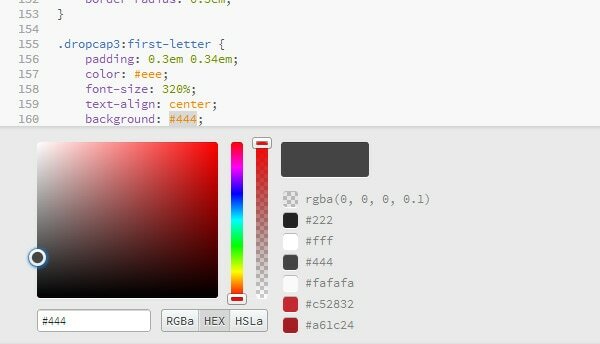 While this version is stable and mostly free of bugs, the preview version is missing features that might be required. 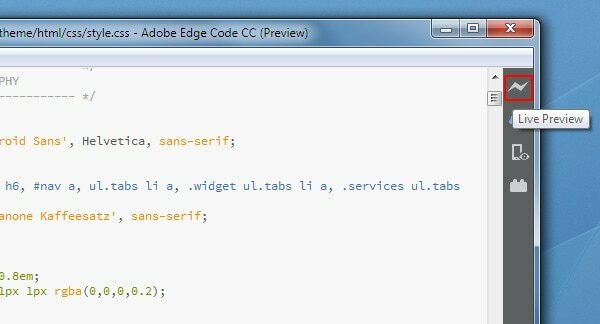 Adobe hopes to have a version of Edge Code that is ready for day-to-day use in mid-2013. Thanks for this great info. I have been using Adobe Edge Animate for a year and a half (another free/beta Adobe project) and have begun to really fall in love it. 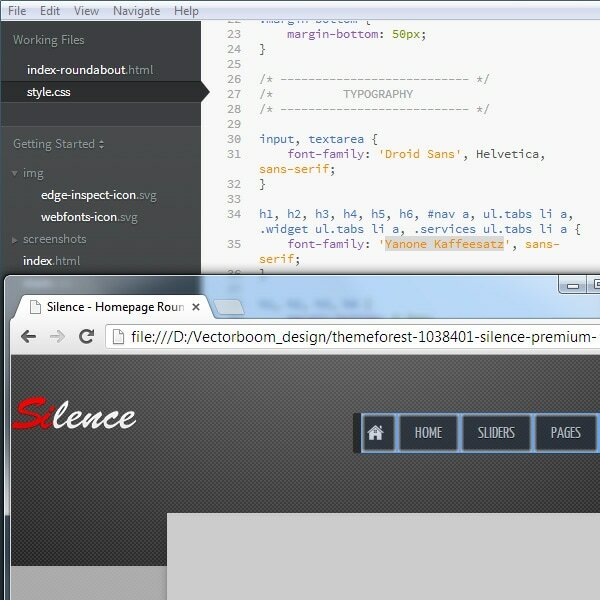 I hadn’t even discovered Edge Code until I read this article, and after reading I gave it a try.